Press photos by John Burbridge Charles City’s All-Northeast Iowa Conference volleyball players were honored during the team’s awards banquet, Tuesday night at the high school. They include, from left, seniors Sam Alinea (Honorable Mention), Jodie Sindlinger (First Team) and Sami Heyer (Second Team). 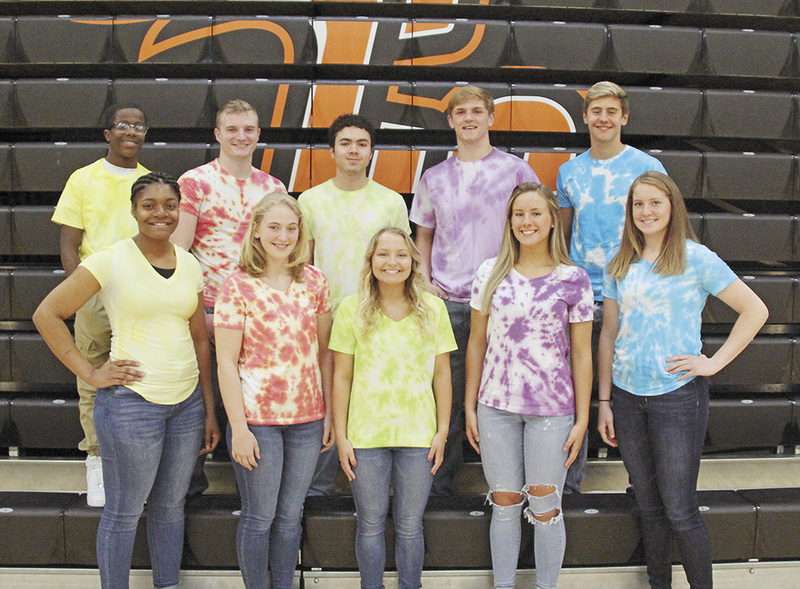 Several outstanding Charles City varsity volleyball players were honored during the team’s awards banquet. 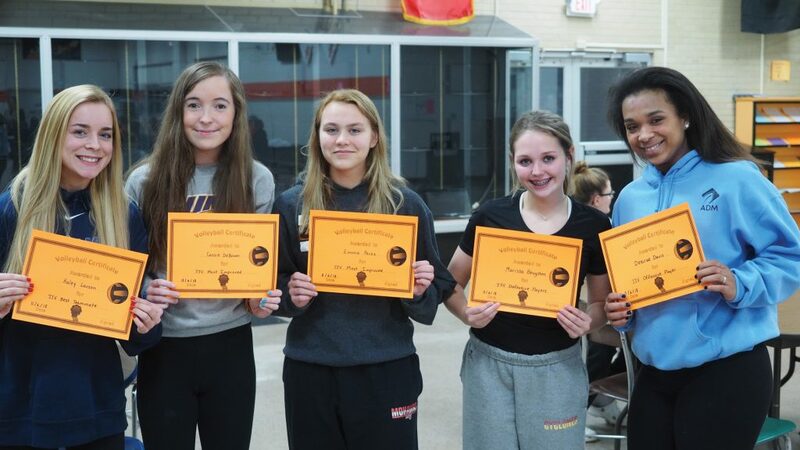 They include, from left, Lexi Vance (Most Improved), Toni Maloy (Defensive Player), Jodie Sindlinger (Offensive Player), Sami Heyer (co-Best Teammate) and Sam Alinea (co-Best Teammate). 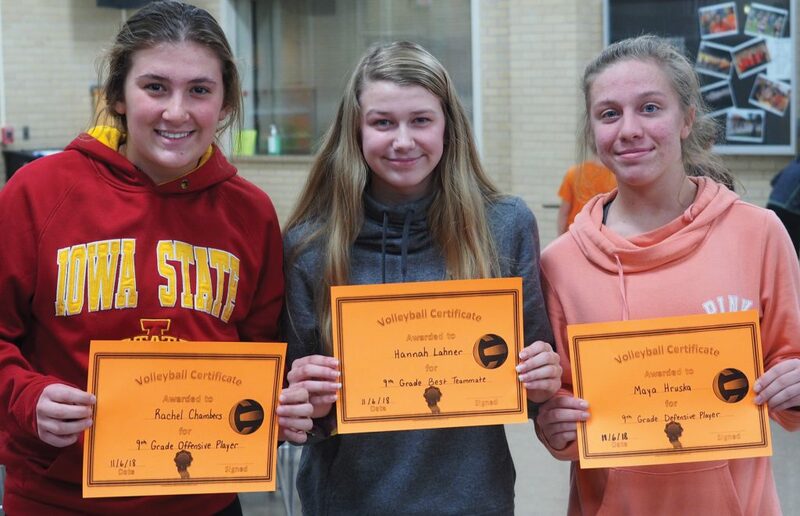 Several outstanding Charles City JV volleyball players were honored during the team’s awards banquet. 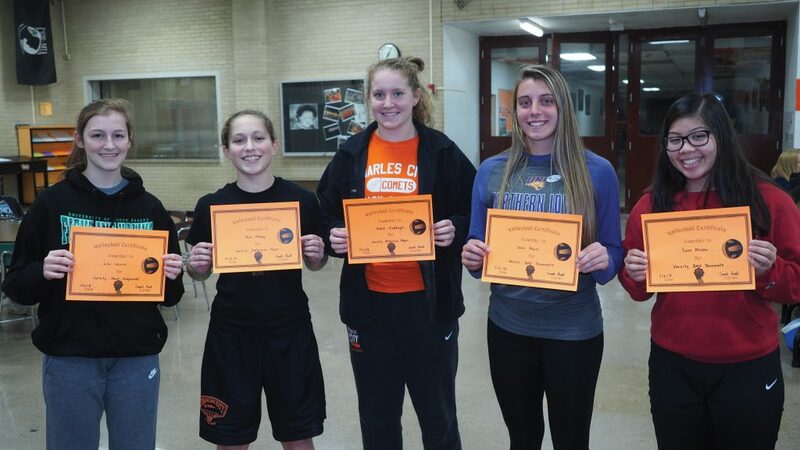 They include, from left, Dani Reetz (Defensive Player), Ally Faulkner (Most Improved), Alex Litterer (Best Teammate) and Sadie Gebel (Offensive Player). 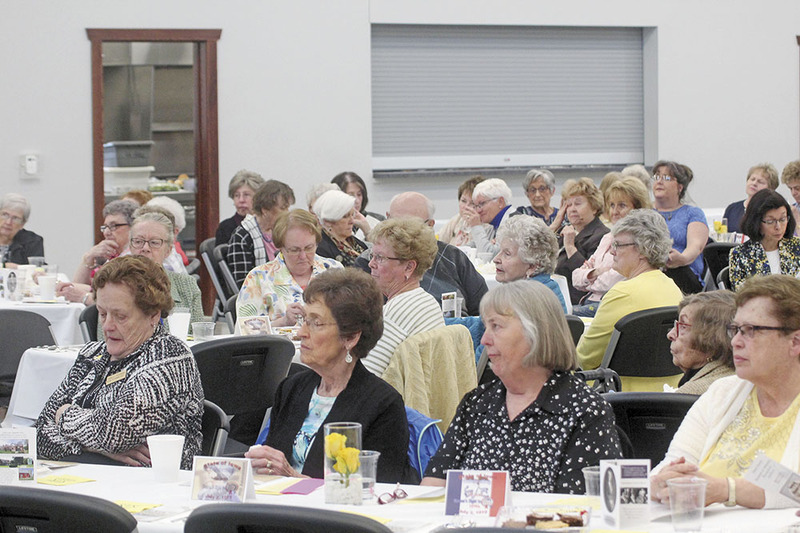 Several outstanding Charles City JJV volleyball players were honored during the team’s awards banquet. 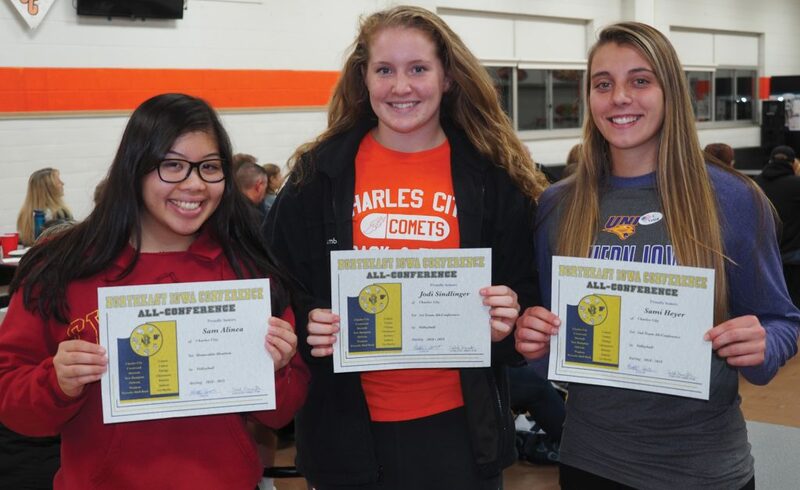 They include, from left, Haley Larson (Best Teammate), Cassie DeBower (co-Most Improved), Emma Perez (co-Most Improved), Marissa Bengston (Defensive Player) and Desirae Davis (Offensive Player). 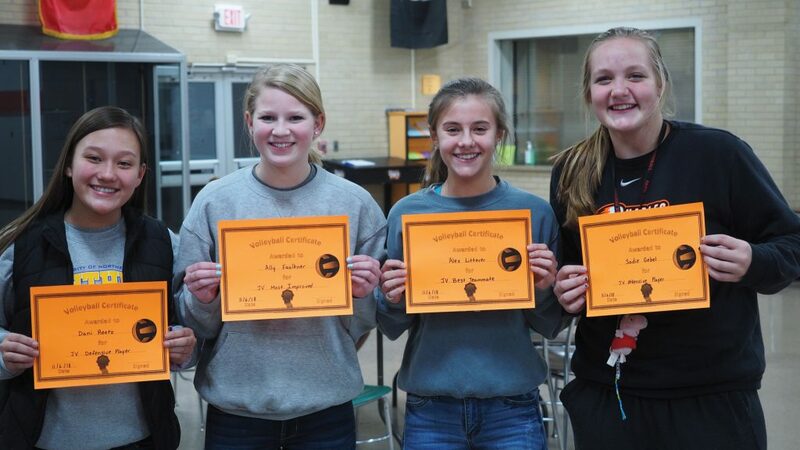 Several outstanding Charles City freshmen volleyball players were honored during the team’s awards banquet. They included, from left, Rachel Chambers (Offensive Player), Hannah Lahner (Best Teammate) and Maya Hruska (Defensive Player).